Caring for Children with Special Healthcare Needs and Their Families: A Handbook for Healthcare Professionals provides a guide for addressing the challenges of providing optimal general and routine care for the special needs population. More than just caring for the patients, the text stresses the importance of caring for their families as well. The book begins with chapters on common aspects of this population, including physical or sensory disabilities and developmental and learning disabilities. Subsequent chapters expound on more specific topics related to communication, mobility, emotional issues, quality of life, and end-of-life. 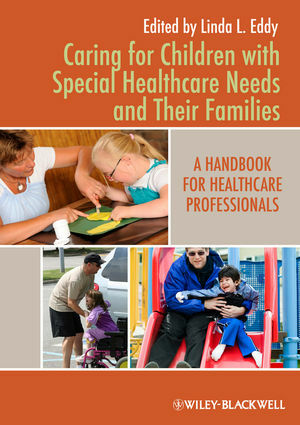 Caring for Children with Special Healthcare Needs and Their Families is a must-have book for family and pediatric nurse practitioners, registered nurses, healthcare technicians, physician assistants and social services professionals who see these patients regularly as part of their daily patient load. Linda L. Eddy, Ph.D., RN, CPNP, is Associate Professor for the College of Nursing at Washington State University in Vancouver, Washington, USA.